Apple has upgraded the powerful business laptop MacBook Pro. 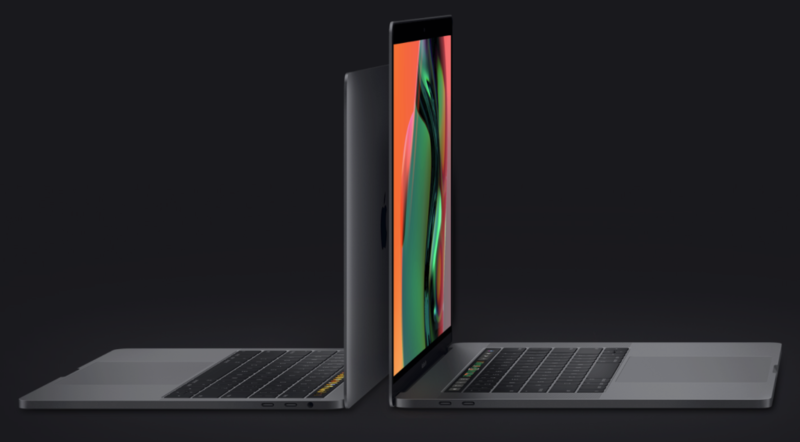 The latest MacBook Pro 2018 models feature a Retina True Tone-screen, improved switches on the keyboard and an improved Intel-based processor architecture. MacBook Pro is Apple’s top-of-the-line laptop that focuses on consumers that need a powerful laptop for work. The 13-inch and 15-inch laptops with touch-bar have received quite significant upgrades. There are four USB-C ports that are Thunderbolt 3 compatible. These ports provide plenty of opportunities for leveraging MacBook Pro’s capabilities. For example, one can connect 4 external graphics cards or two 5K-resolution screens. Moreover, there’s a 3.5-inch jack for headphones. There are two colours to choose from: space grey and silver. The lowest priced model is the 13-inch MacBook Pro with a 2-core Intel Core i5-processor boasting a clock frequency of 3.6 GHz. The graphics processor Intel Iris Plus 640 ensures fast graphics. There are 128 GB of SSD storage and 8 GB of RAM available. This model costs $2,199 inclusive of GST at Apple NZ’s online store. There are more expensive 13-inch models that come with either 256 GB or 512 GB storage, Retina display with True Tone, a more powerful graphics processor, 4-cores and two additional Thunderbolt 3 ports. The 15-inch model starts at $3,999. It sports a 6-core Core i7 chip with a clock frequency of 4.1 GHz and an AMD Radeon Pro 555X graphics card with 4 GB of video memory. There’s 256 GB SSD storage. The most expensive model retails at a whopping $11,329 and features top hardware: Core i9 processor running at 4.8 GHz, AMD Radeon Pro 560X, 32 GB RAM memory and 4 TB SSD storage. It’s also possible to purchase software licenses for Final Cut Pro 560X and Logic Pro X separately.